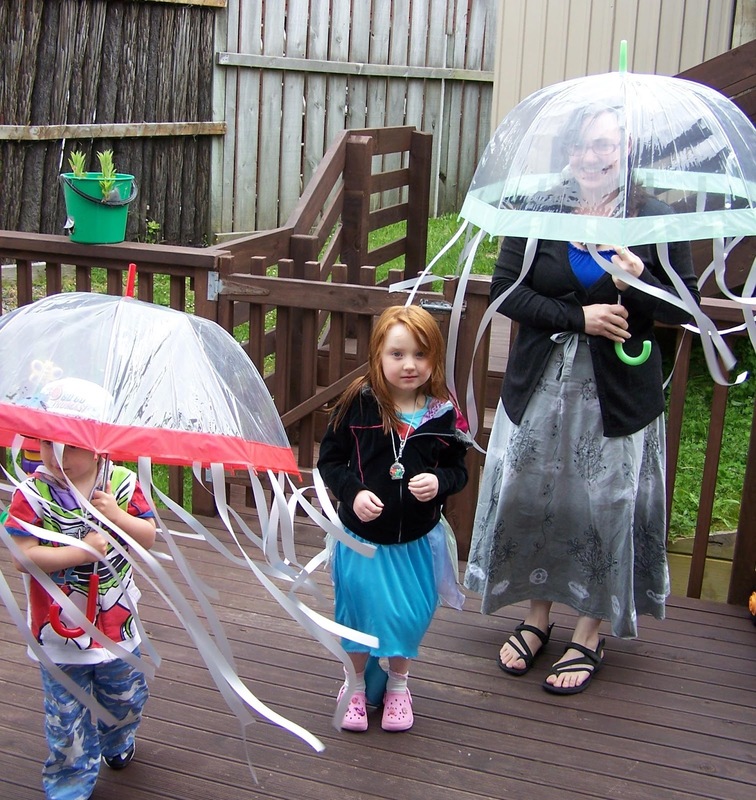 I loved the (many) jellyfish costumes I found online and after looking through a tonne of photos I decided that an umbrella-jellyfish would not only be the easiest way to go, but also the most likely way to get the little guy into a costume. I had originally planned to get some light coloured, cheap child sized umbrellas and attach tentacles hanging down from the top as I thought the clear ones would be too expensive or difficult to find; however, it turns out the opposite was true! I had also planned to make the tentacles from strips of bubble wrap, but I never did manage to get any in time for the day of the party. Luckily I had a giant roll of white packaging ribbon just hanging around, so I cut it into strips and taped it around the edges. I was hoping they would look ok, and I was pleasantly surprised at how well they actually turned out. 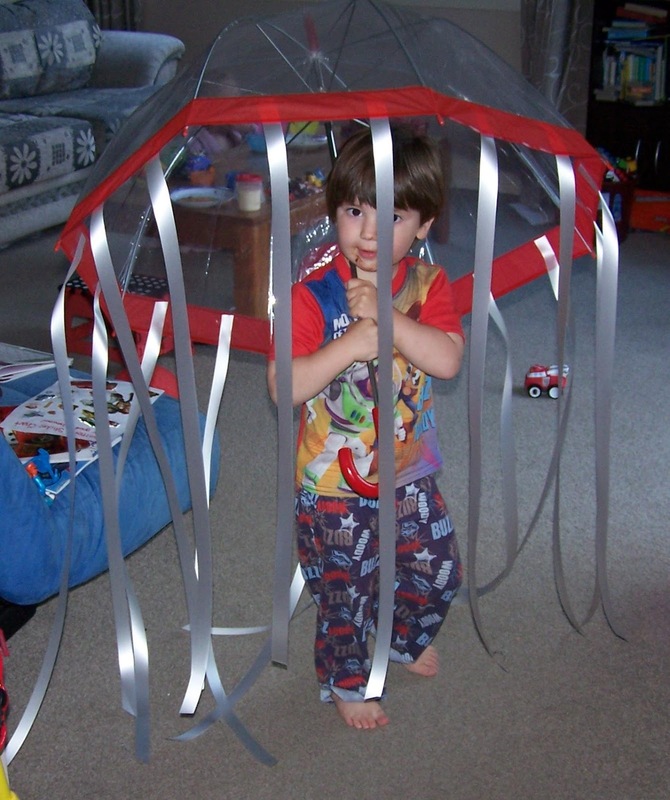 The little guy loved carrying his jellyfish around the house prior to the party and he made a grand entrance in his costume, but it was quickly discarded so he could run around and 'party'. It wasn't abandoned for long though - many a child was seen dancing around with the jellyfish umbrella throughout the party. Me & my little sea creatures.